The spring-loaded lip design allows the seal to accommodate low rpm shaft runout or coaxial misalignment up to 0.020″ and high surface speeds. The opposing lip facing the environment acts as a dust wiper for dirt exclusion and as a lubricant retainer. It is capable of handling extreme temperature, aggressive media, higher surface speeds, low to medium pressures, and can even run dry. Typical applications are gearboxes, mixers, and augers. Size Table (Inch)Standard Range sizes listed below are preferred sizes for new design applications; however, we offer any other seal size as required.Seals are available for any shaft diameter size in 0.001 inch increments, including Functional Range. *Standard cross-sections (CS) listed and non-standard sizes can be provided for any shaft size up to 63 inches. 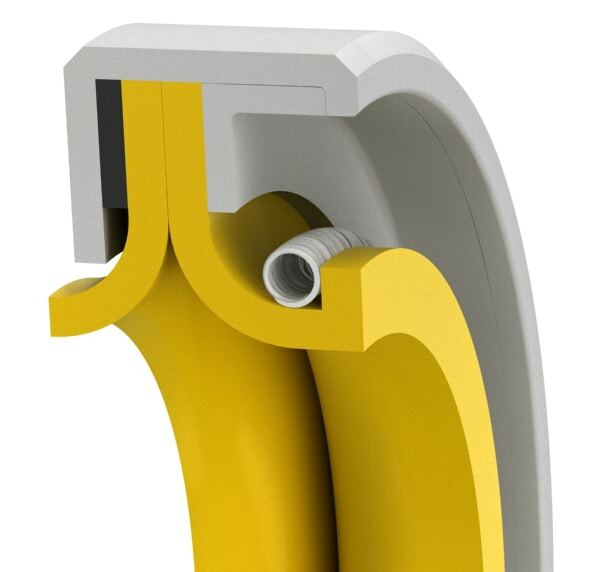 Surface finish: Shaft (A) plunge ground, zero lead Ra 6-12µin - Housing (D,L) Ra max.32µin - Shaft material hardness 55-65RC. Use of installation tool is highly recommended. See Technical Info for more specific information. Size Table (Metric)Sizes listed below are preferred sizes for new design applications; however, we offer any other seal size as required.Seals are available for any shaft diameter size in 0.01 mm increments, including Functional Range. *Standard cross-sections (CS) listed and non-standard sizes can be provided for any shaft size up to 1600 mm. 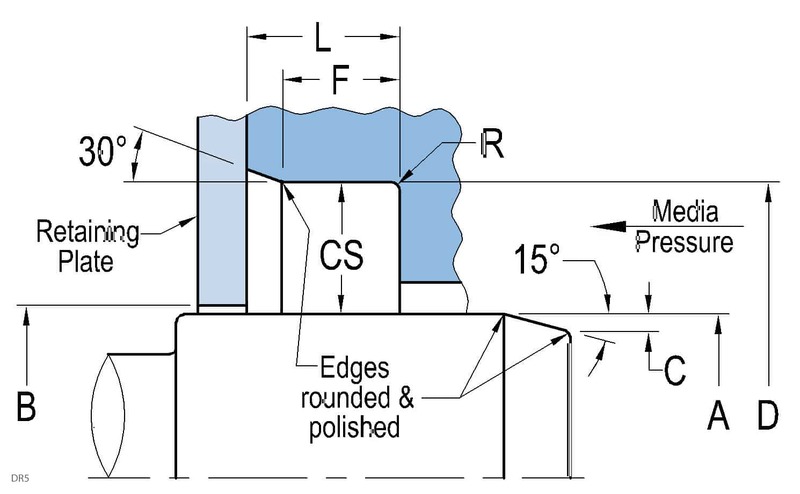 Surface finish: Shaft (A) plunge ground, zero lead Ra 0.15-0.30µm - Housing (D,L) Ra max 0.8µm - Shaft material hardness 55-65RC. Use of installation tool is highly recommended. See Technical Info for more specific information.